We’re not driven hectically by profit; we’re driven by making a difference. Bean There Coffee Company is South Africa's first roaster of certified fair trade coffee. 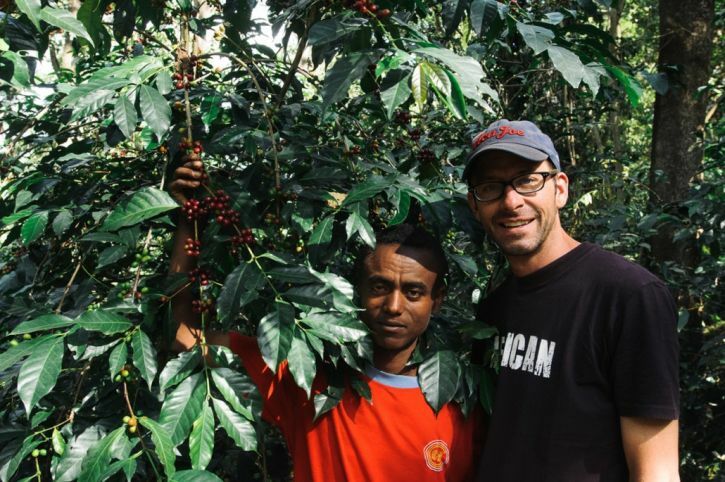 Jonathan Robinson founded Bean There in his garage back in 2005. Today, Bean There is run from two roasteries in Johannesburg and another in Cape Town. Bean There sources all their coffee (120 tons!) directly from co-operatives made up of small-time farmers in Ethiopia, Rwanda, Kenya, Burundi, Tanzania and the Democratic Republic of Congo. Arabile Gumede (in for Bruce Whitfield on The Money Show) interviewed Robinson for the weekly “ShapeShifter” feature. My wife supported our family during the first couple of years when you’re not taking a salary and putting everything back into the business. Turnover is vanity. Profit is sanity. Cash flow is reality. Refilwe Moloto interviews Gubeka, a design guru Forbes reckons is one of Africa’s most promising young entrepreneurs.